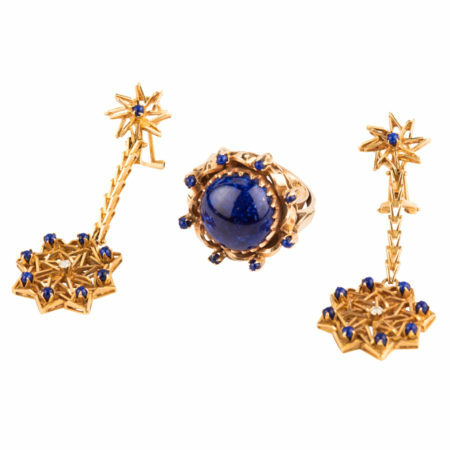 Exquisite deep blue Lapis Lazuli is the star of this vibrant set. 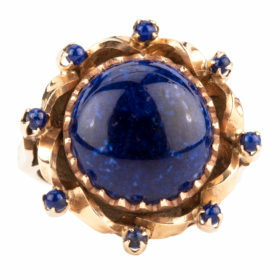 The ring is comprised of a 13mm lapis center, with 8 2mm beads surrounding. 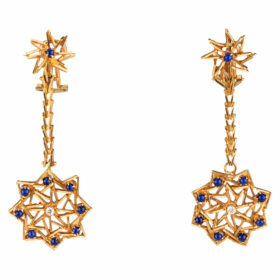 The earring feature 2mm lapis beads and .06 carat weight of diamonds. 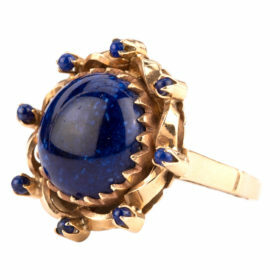 Crafted in 14K yellow gold, all pieces exhibit a stunning contrast of gold against vidid blue stone.